Snitty Kitty will be aiming to upset some big names in the Group One Moir Stakes at the Valley. If conditions are right the newly created Moonee Valley 1000m-track record is in danger in the Moir Stakes. Friday night’s Group One dash at Moonee Valley is expected to be a speed battle with Nature Strip, Ball Of Muscle and Snitty Kitty engaged. Nature Strip lowered the 1000m-record when successful in the McEwen Stakes on September 8 after leading from an inside draw. On Friday night Nature Strip has drawn seven in the 13-horse line-up which may allow him to take a sit. Drawn to his outside is Snitty Kitty and her trainer Henry Dwyer says there’s only one way she races, flat out. “I think we’ll be leading or outside the leader,” Dwyer said. “Ball Of Muscle is the other horse in the race that has equal speed to her. “If they want to lead on him, we’ll be happy to sit outside. We won’t want to be three-wide outside the speed or behind any horses so we’ll be going forward as she’s no good behind them. Dwyer elected to bypass the McEwen Stakes to allow an extra three weeks to have the mare tuned for her first-up run. A Cranbourne trial on September 17 and a trip to Moonee Valley on Monday for a gallop has Dwyer convinced she’s ready to run well. To maintain her fitness the mare has travelled to Mordialloc Beach in recent days to keep her both mentally and physically fresh. 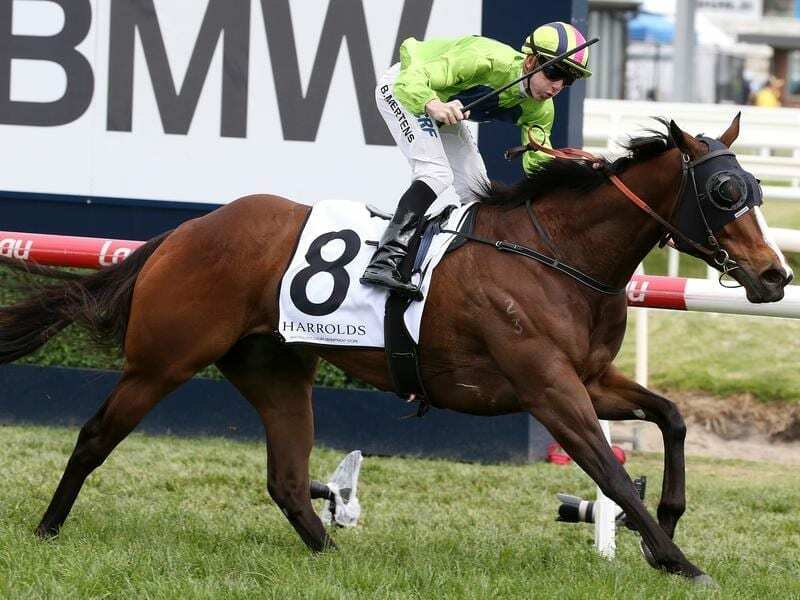 “She’s trained out of St Leonards most of the time but we brought her back to Caulfield to tighten the screws over the last ten days,” Dwyer said. “At St Leonards she just has to walk across the road to the beach but here it’s a 20 minute float ride to Mordialloc as part of her routine.